The Elite System is the most complete, industry-leading workflow and marketing bundle available, and comes fully equipped with the tools you need to easily market yourself as an appraisal expert and appeal to non-lender clients. You’ll save time and money going paperless using automatic file backup and storage, advanced mobile forms and sketch app, and digital workfile to save research. Plus, your reports will stand out with masterfully crafted regression analysis and other supporting charts and graphs, along with high-resolution, colorful flood maps. You’ll see an undeniable change in profitability and efficiency regardless of the season. The Elite System is our best value for appraisers. With the bundled discount, you'll save nearly $1,000 over buying everything separately and have access to several perks simply not available to anyone else. Plus, you’re backed by our ironclad 100-day money back guarantee. Two of our newest products, Titan Drive and Titan Office will be included in the Elite bundle when they launch. Stay tuned, and call us at 1-800-252-6633 to upgrade. The Elite System paired with TOTAL, our highly intuitive desktop formfiller provides the optimal appraisal experience from the moment you receive an order until the moment it’s delivered. And, it’s the only formfiller built to effortlessly spread your report and research across multiple monitors. Click here to learn more about TOTAL. Dann Cann / C & M Appraisals Inc.
There’s no such thing as an “8-5, Monday through Friday” schedule for appraisers. That’s why we’re staffed all day, every day. That includes holidays, too. We understand that deadlines come first and revision requests can’t wait. Elite Members get 24x7x365 live support. Plus, the private Elite-only support line gives you access to the most seasoned technicians and jumps you ahead of other callers — even the Platinum line. If you need help getting the most out of your tools, you can schedule one-on-one coaching sessions with our expert Product Coaches. Schedule as many appointments as you like for free! You’ll also have access to Elite-only workflow and marketing webinars and live training opportunities to give you an edge over your competition. New! Instant market analysis with Titan Analytics. The Elite System just got even better. It now includes Titan Analytics for instant market analysis without all the hassle. From accurately filling out the entire Market Conditions grid in seconds to adding rapid-fire visual support to your appraisals, Titan Analytics is the difference between hours of daunting questions and sailing through a review. Click here to learn more. There are a lot of generic website vendors. But they’re not built for your business, right out of the box. Since you’re working long hours appraising, you don’t have time to write, juggle several providers, and research search engine tactics. That’s where XSites dominate. 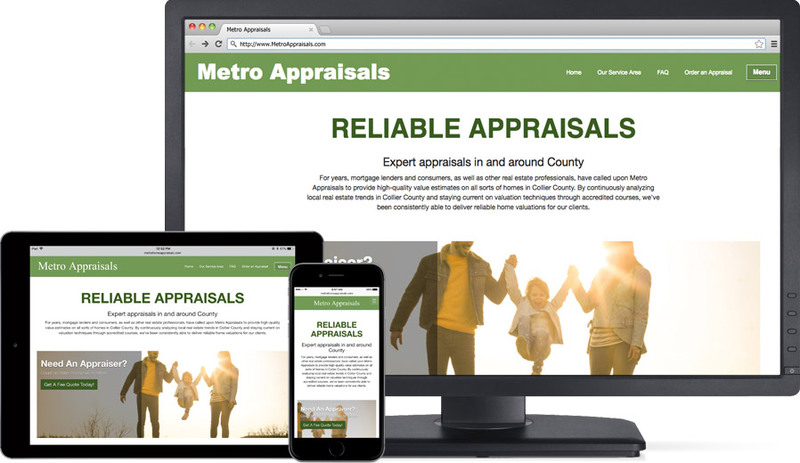 They’re the only websites built specifically for appraisers. With XSites, you get an easy-to-use, professional-looking website with content that attracts new non-lender clients and keeps the old ones coming back with online ordering and easy ways to contact you. 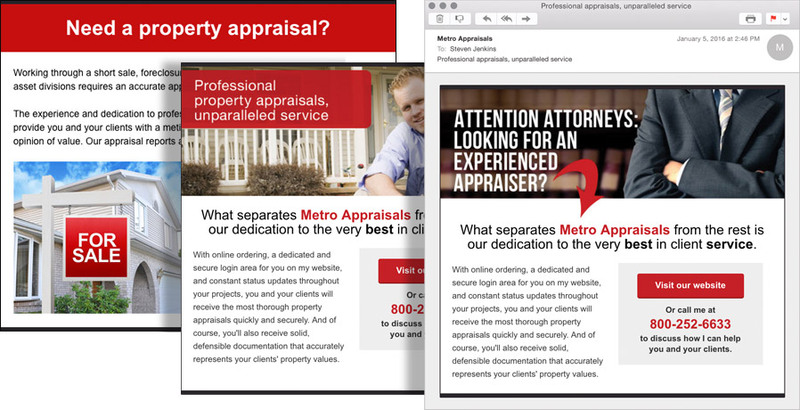 New designs look incredible on mobile devices — where homeowners, real estate agents, and everyone else searches — Potential clients are searching for appraisers from the coffee shop on the phone or the couch with their iPad. Don’t miss an order because your site doesn’t show up in mobile search engines or visitors hit “back” when your site is hard to navigate. With new mobile-friendly designs and an interactive service map, you’ll sell across every device. Better still, Google prefers these designs, so you’ll likely show up higher in search results. Proactively bring high-fee orders to you — XSellerate is your automated, proactive marketing expert. Unlike generic emails, its huge library of pre-written, customizable marketing pieces are aimed at specific non-lender niches (attorneys, homeowners, etc). In minutes, you’ll set up proactive campaigns that send email marketing messages automatically. The pieces range from holiday e-cards to reasons to order an appraisal. You’ll also find professional print pieces like postcards and door hangers you can leave in neighborhoods you’re working. There are plenty of storage methods out there, but only one is designed for appraisers. Vault with Exact was built specifically with appraisers and their workflow in mind. Automatically and securely back up your files, settings, and databases, nightly, weekly, or whenever. Or, if disaster strikes and you need to move to a new PC or laptop ASAP, Vault with Exact will restore your work quickly, without unnecessary down-time or having to hire a technician. You’ll also have access to your files from anywhere so you don’t have to drive back to the office when an underwriter calls. Your Elite Membership gives you a one year subscription to Vault (1,000 files) and Exact for paperless cloud storage. See everything Vault and Exact can do for your business here. Elite members get one course free, so whether you’re new to TOTAL and want a detailed guide to walk you through the software, or you’re looking to advance your business and go mobile, Seminars On Demand will cover all your questions. We’ve taken our famous seminars and made them available on demand. 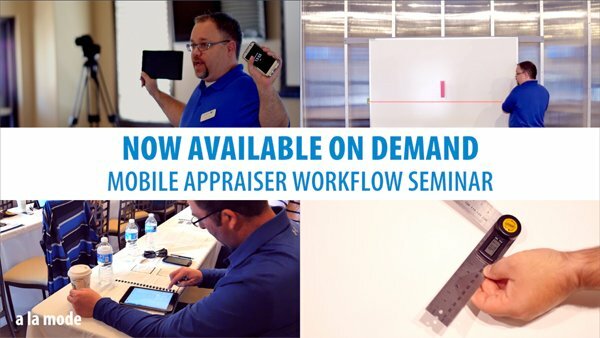 The Mobile Appraiser Workflow course will show you how to go paperless using TOTAL for Mobile to collect data in the field, sketch a 6000 SF, multi-level home from start to finish, and see how a DISTO and other tools help to increase your workflow efficiency for a quicker inspection. 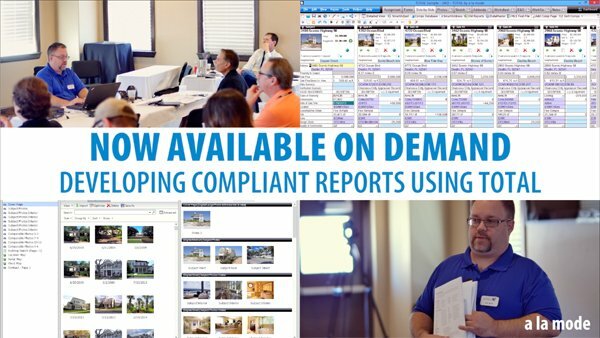 In the Developing Compliant Reports course you’ll learn everything from customizing settings, starting reports in seconds, saving lots of time in the comps Side-by-side grid, going paperless with the built-in workfile, creating detailed addenda, and delivery. Your Membership gives you unlimited and automatic location maps (aerial and street) as well as unlimited census tract and flood data, with absolutely no per-use fees. They’re instantly added to your report when you enter the subject address. But that’s just the beginning. Elite also gets you a one year subscription to InterFlood with 500 FEMA flood maps. No more scouring the Internet to manually insert flood maps. 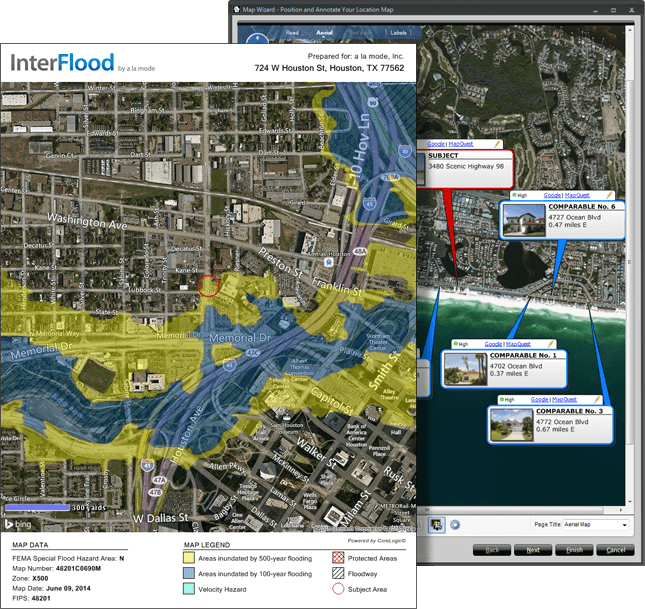 Instead, InterFlood instantly and automatically places a high-resolution flood map into your report any time the property is in a flood zone. You’ll be amazed at how much time you’ll save.